At MyCentralJersey.com, they look at ways small businesses can build value and create loyalty for their customers. While this is critical for businesses just starting, companies should always have their customers in mind. Many companies want to continue to sell their products, however, forget that they need to keep their customers after they draw them in the door the first time. An easy way to do this is to thank customers after their purchases, which will also add value to a product when you sell it. Also, all customer touch points need to be operated with a customer in mind. What do you think? How do you ensure your customer is taken care of at every touch point to ensure their future loyalty? 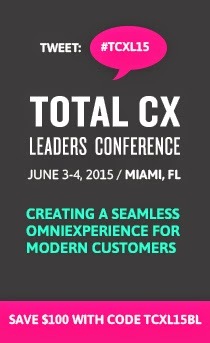 NACCM: Customers 1st will be holding a one day summit focusing on creating loyalty. "Creating Uber Loyalists: Cracking The Code On Next Gen Loyalty, Engagement and Advocacy." Jet Blue, Sony Electronics and Norwegian Cruise Lines will be among the presenters. Find out more about the full day symposium here.